P392 - P2R Intake Manifold Spacer - Pann Auto Performance - San Diego largest aftermarket automotive performance parts - What do you drive? P2R Intake Manifold Spacer will increase TQ and shift HP curve lower. This spacer is thick and made from 6061 aluminum. 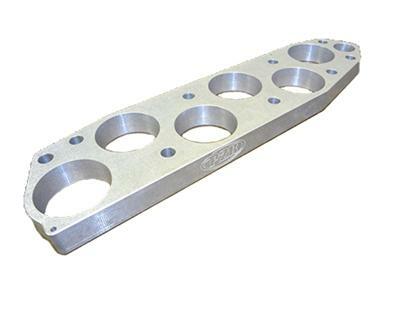 Combine with 2 P2R Thermal Intake Manifold gaskets your total spacer thickness will be increased even further. Includes necessary bolts and washers to install. Remember the thermal gaskets are sold seperately.